Water mitigation services. Call for an estimate today! 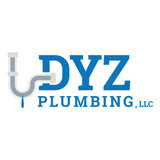 DYZ Plumbing, LLC is dedicated and passionate about helping you with any of your plumbing needs. SANDERS PLUMBING is one of the leading plumbing companies in northern Virginia! When you need plumbing work done properly, whether it is as simple as a clogged pipe, or as potentially complicated and sensitive as a sewer repair; Sanders Plumbing is the go-to in the Manassas, Prince William, Fairfax, Arlington, Alexandria, Loudon County areas for quality plumbing work done on a timely schedule. With many years of combined experience in the field, Sanders Plumbing stands out from our competitors through our attention to detail and our dedication to using the best gear and the best techniques for the job every time. The team of professionals at Sanders Plumbing understand the value of timely, accurate assessments and precise, effective repairs, whether it means saving you a drain replacement by breaking up the most resilient clogs, or saving your yard and driveway from getting dug up by giving you one of the highest quality trenchless drain replacements in the greater northern Virginia area. At Sanders Plumbing we value quality work and prompt, professional service above all else. Les Metcalf owner of Metcalf Plumbing is a registered plumber that has been servicing the Baltimore metropolitan area since 1989. We strive to provide exemplary service to our clients. Since 1958 T&D Plumbing Co., has been providing affordable and dependable plumbing & heating services throughout the state of Maryland. 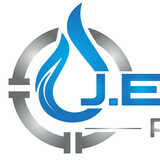 We specialize in plumbing, heating, air conditioning, utilities and gas piping re-connections. We utilize the best brands, new technology and equipment to better serve our customers. If you live in Northern Virginia and surrounding counties and your plumbing isn’t working, or there is a leak in the pipes, there’s one number you should have on speed dial Galenski Plumbing. Galenski Plumbing is a company built on three generations of plumbing experience and has been servicing customers in Fairfax, Arlington, Gainesville, Prince William and surrounding counties since 1997 and back to the early 60’s when the first and second generations were servicing the residents of Northern Virginia, Washington DC and Maryland. Galenski has a long working knowledge of the local jurisdictions and their particular systems, older homes in Arlington, Alexandria and Falls Church have much older and different piping systems than those in Gainesville, Bristow, Manassas and Fairfax Counties. 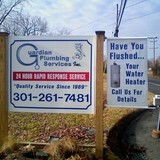 From clogged drains, leaky pipes & faucets to failing toilets Galenski Plumbing can handle all of your plumbing needs. When you hire Galenski Plumbing to make repairs or replacements to your plumbing system you can rest assured that it will be done correctly, we are so confident in our service we offer a full 2-year warranty on all our labor and materials that are furnished by us. If you need service or would like and estimate for a bathroom remodeling project, call us today at 703-330-5363 When you hire Galenski Plumbing to repair or replace your water service, we understand this may be the first time that you’re dealing with this issue as a homeowner, but it’s not our first time! We are familiar with local jurisdictions in the Northern Virginia area and will obtain all the necessary permits and arrange inspections as required. Boiler Repair in Bayside, NY In the New York area, it is essential that your boiler is working properly-especially in the wintertime. Unfortunately, your boiler system may break down and need repairs. When this happens you need repair service immediately. One call to RiteWay Boiler and Plumbing Services and we’re on our way. Our team of boiler experts are highly trained and skilled professionals who will quickly arrive at your site, with all the tools, experience and a truck full of parts to fix and repair any boiler emergency. We’ll be there when you need us 24 hours a day and that includes nights, weekends and holidays. RiteWay Boiler and Plumbing Services technicians can service and repair all makes, models and types of boilers including: steam, hydronic, gas and oil fired boilers. When RiteWay Boiler and Plumbing boiler specialists perform repair services on your boiler you can rest assured knowing the job was done right and to the highest standards. RiteWay Boiler and Plumbing Services specializes in all types of boiler services. We provide boiler installation, boiler repair, boiler maintenance, boiler cleaning, and many more. We also offer 24-hour emergency heating, boiler and furnace repair service. Whatever service you may need for your boiler our technicians are trained and qualified to perform it. All repair work and your satisfaction is guaranteed 100%. 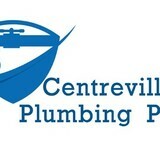 Thank you for the opportunity to assist you with your plumbing needs. We know that plumbing repairs can be frustrating. Whether you are a homeowner, business or property manager, our job is to help you through the process of solving your plumbing problems and help you prevent future ones. Our website is set up to introduce you to some the services we provide and to our staff. Please know that providing you the best possible service is our top priority. If you have any questions or concerns, feel free to contact us. CPLLC is family owned and operated with over 50 years of experience on our staff. Our goal is to provide you with the best possible service. Remember, the best compliment we can receive is your trust when you refer us to your friends, family and neighbors. Prime Plumbing sets itself apart from our competitors by offering affordable, friendly, and professional service. When you call Prime Plumbing, you will always reach a person. No robots or automated systems. Our Prime technicians enjoy what they do so you will always receive the best service possible. We specialize in drain cleaning, underground water and sewer line repair/replacement, water service lines, sewer lines, water heaters and more. Our technicians are equipped to handle any project! Are you tired of your basement being wet or flooded? At Storm Waterproofing, we can help solve and prevent such problems. We are a family owned and operated waterproofing company founded by a third generation basement waterproofing expert. With more than 20 years experience, we offer the Baltimore Metro area exceptional basement waterproofing and crawl space encapsulation services. We aim to give you a home that is dry, healthy, and safe. You can trust that we use state-of-the-art waterproofing techniques. For a free estimate, call us at (443) 450-4310.